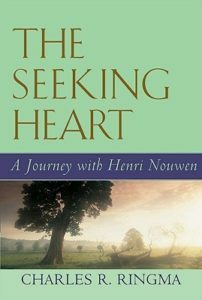 Explore the way of the seeking heart with Henri Nouwen as your guide. In this lively new book, Charles Ringma recognizes the human quest for transcendence, beauty, peace and inner well-being, as well as the search for relational wholeness. With brief reflections for all people wanting to better understand the human condition, the search for human wholeness, prayer, meditation, community, and the concern for justice in the world, The Seeking Heart will be a rich resource for personal reflection and group discussion.